I miss writing letters – long, stream of consciousness musings that continue an ongoing conversation between friends. Kind of like those long phone calls that can pick up where they left off even if months (or years) have passed in between. Email isn’t the same. Cell phones don’t cradle in the crook of your neck the way those banana-shaped push-button ones did back in the ’80s. I sound like such an old fart, don’t I – this longing? There’s a legitimate spark for this nostalgic drama. For Christmas my mother gave me the book of letters between Julia Child and Avis Devoto. The letters sent back and forth across the pond were written between the two women during the years following the war, when Julia lived in France, Germany and Norway and was writing “Mastering the Art of French Cooking.” Avis, whom Julia had never met in person but only got to know as a pen pal, became her most ardent champion and helped shepherd the cookbook into publication. 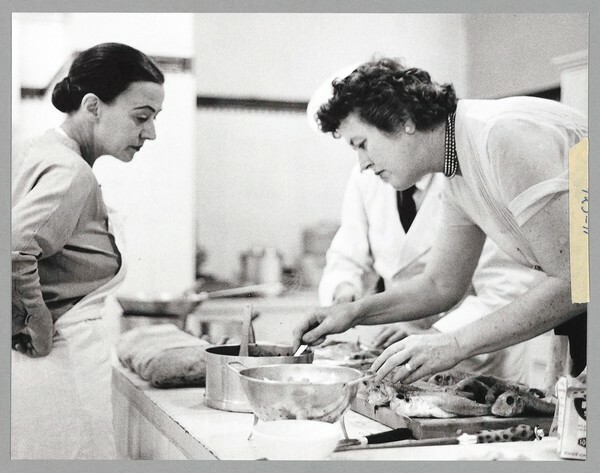 Paris, 1956 - Avis DeVoto watches Julia Child and Chef Max Bugnard make beautiful food together. From "As Always, Julia." They shared their insecurities, hopes, heart breaks, and honors with one another. When they both settled in Cambridge, MA in the 1960s, after the cookbook sold millions of copies, their friendship formed the foundation for six successful PBS cooking shows. My best friend Melany and I met during second grade. She is my Avis DeVoto. We went to school together less than one year, but have maintained a friendship through letters, phone calls, visits, sleepovers, cards, emails for more than 30 years. I have a box filled with the ephemera that documents our growth through braces, first periods, first boyfriends, first times, college, marriage, and children. She framed some of the cards I sent her throughout the years and hung them on the wall of her house. I wrote a book of poetry and essays for her about our friendship and how it sustained me through tough times. She made me a scrapbook of our trip to Chicago. We share recipes and books, and now we’re working on a research project together that will evolve in my master’s thesis. I wonder where it will take us. 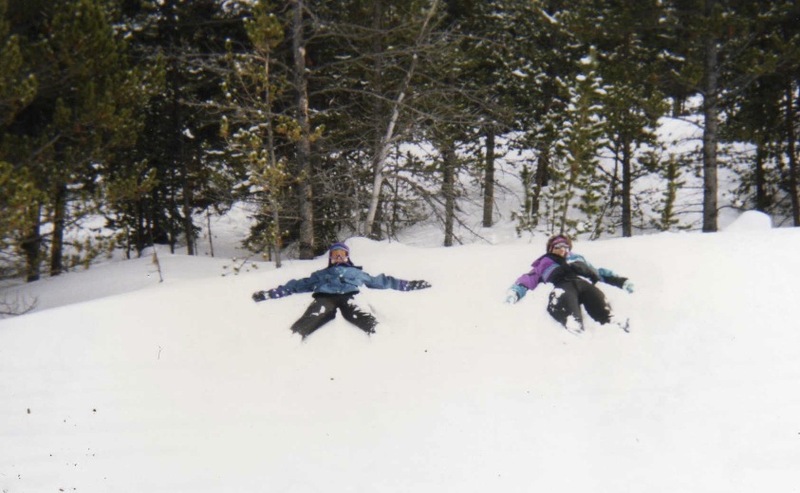 Winter 1996 - Melany (l) and I make snow angels in the side of Copper Mountain, Colorado.